Diphtheria is an infection that usually affects the respiratory tract primarily the larynx, tonsils, and throat. It can also affect the skin, and the poison produced by the bacteria can harm the nerves and heart. In India, it is widespread. This is a serious infectivity that causes a high mortality rate not in India but in Western Europe also. There is a need to generate awareness to control this disease and improve the life of populace. The disease usually breaks out 2 to 5 days after infection. The disease can be deadly. 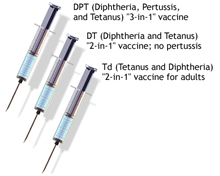 5- 10% of diphtheria patients expire even though they get thorough treatment. If people are not immunized, they may frequently be infected with the disease. 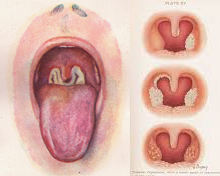 The bacteria of Diphtheria grow on the lining (mucous membrane) of the throat, nose or larynx, where they divide and excrete a poisonous substance or toxin. The membranous coating in the throat can become detached and obstruct the airways, making breathing hard and sometimes causing asphyxiation. The bacterial toxin enters the body and can lead to break of the cardiac muscle and the nervous system. The occurrence of diphtheria is observed in urban slums in north India. In 1997, diphtheria cases reached 1326. Statistics represented that during the year of 1995, there were 1257 reported cases of diphtheria in India. In 2005, India contributed 5,826 (71%) of the 8,229 diphtheria cases reported internationally. There were 4,161 (71%) cases were reported in the state of Andhra Pradesh as compared to total cases in India. Diphtheria rates in Hyderabad were higher among persons 5-19 years of age during 2003-2006. It clearly indicates that these regions are high risk areas and requires immediate attention. 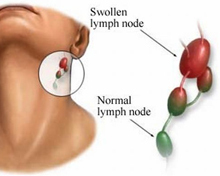 Clinical sign included fever, sore throat, dysphagia, and swelling in the neck of 2-10 days duration. Various laboratory examinations are done to confirm the diagnosis. These tests are Albert's staining and Loeffler's serum slope. This outbreak was due to a large population of vulnerable children and adults refuse in childhood immunization, poor socioeconomic conditions, and large-scale population movements. The bacterium, Corynebacterium diphtheria is responsible for the occurrence of Diphtheria. It is spread by mucous from person to person. The bacteria generate a toxin that can cause swelling the heart muscle or injure nerves. Diphtheria spreads from person to person by respiratory droplets from the throat through coughing and sneezing. Diphtheria can also be spread through skin-to-skin contact. The bacteria of this disease is present anywhere, but there are more possibility of having these bacteria in poor or thickly populated regions where some people are not vaccinated against diphtheria which increases the chances of dispersal the disease. Person infected with diphtheria exhibit symptoms of a sore throat, coughing and breathing difficulties. When the disease infects the skin it causes crusty scabs, similar to impetigo. General symptoms have been observed as a slight rise in temperature, limpness and fatigue. With in two to six weeks of the illness, this disease harm to the heart and nervous system which can lead to irregularities of the heart beat and paralysis. In its severe form, it can lead to serious disturbances in cardiac rhythm, and possibly cardiac arrest. It has been observed that death rate due to this disease is high in developing countries. To diagnose diphtheria, a swab is taken from the throat and the bacteria are cultured in a laboratory. Treatment is done by specialist and patient is hospitalized and kept in isolation. There is an antitoxin, which combats the bacterial toxin, but it is used only in suspected cases of diphtheria when there is no time to wait for the results of swabs. Another way to treat this disease is to give antibiotics to eliminate the bacteria itself with the consultation of doctors. Artificial ventilation with respirator treatment may often be required. Doctors usually instruct people who have been in contact with the patient to go for thorough examination and prescribe vaccination and preventive antibiotic treatment. This task is executed with the help of community medicine specialist and the hospital. It is always advised to know about disease and take preventive measure. People can avoid this disease by vaccination. All children must regularly offer five vaccinations against diphtheria in the child vaccination program. Children are given the diphtheria vaccine together with vaccines against tetanus, whooping cough, polio and Hib as one combination vaccine (Pediacel), at the ages of two, three and four months. A child is given a diphtheria, tetanus, whooping cough and polio booster vaccine (Repevax) when he or she is five years old. The child is given a additional booster vaccine before leaving school. They may be more protected if they get vaccinated. If person is suspected Diphtheria, he must immediately contact doctor because it is life threatening disease. If it is untreated, it leads to dangerous consequences. Long-standing effects may be paralysis, especially in the face, as well as disturbed cardiac rhythm, which may require ongoing medication. The disease will perhaps difficult to eliminate from the world because the bacteria can be dispersed among vaccinated and healthy people without anyone realizing that they have the bacteria in their throats. To control this disease, it should be diagnosed at early stage and proper case management procedures should be followed in order to prevent complications and death.